This week it was up to me to come up with the color challenge for Sunday Stamps and so I chose 3 of my favorite SU colors.....Daffodil Delight, Old Olive and Pacific Point. I just love these colors (and remember, you don't have to use SU colors, you can use anything close to these ones! ), they are so pretty. 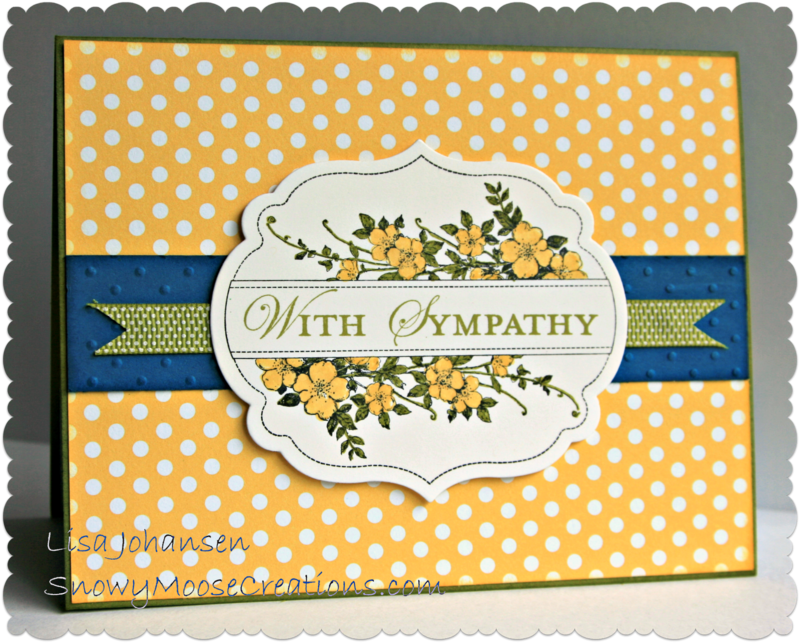 Unfortunately I've needed a lot of sympathy cards lately so I decided to make another one as a 'just in case' card. I like CAS cards to begin with but when it comes to sympathy cards I especially like them plain so I didn't do a whole lot in terms of embellishment other than the ribbon. The strip of Pacific Point is embossed and the edges of all layers(other than the main image panel) are sponged with their respective colors. 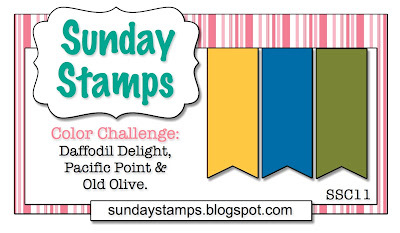 I sure hope that you'll head over to the Sunday Stamps blog and check out all the great inspiration from the rest of the design team! We'd also love to have you play along with us! Lovely card, Lisa! This is perfect for a sympathy card. Great use of these colors, Lisa! Love this color combination and your card. 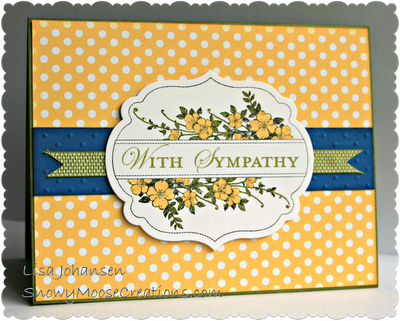 Really great sympathy card! This is so elegant and peaceful... I love how you've made brights look like that! Love this card, Lisa! !